If you want to migrate to Canada, Nova Scotia may be able to help. Since 2016, Nova Scotia has received 4,835 new immigrants, and has plans to increase immigration numbers through the Nova Scotia Nominee Program (NSNP). The Nova Scotia Immigration Office has revealed record immigration numbers to the province in 2016. In the past year, the province received many skilled workers, entrepreneurs, refugees and family members of Canadian citizens and permanent residents who permanently settled in the province. From the beginning of the year to October 2016 the figures reveal that the province of Nova Scotia received 4,835 new immigrants, and compared to 3,403 new immigrants who arrived in the province in 2015, last year’s immigration numbers are the highest in more than 10 years. The continued increase of immigration numbers to Nova Scotia may be credited to the federal government’s policy of welcoming tens of thousands of Syrian refugees throughout the early months of 2016. Almost 1,500 Syrian refugees were resettled in Nova Scotia during the previous year. In March 2016 the government of Nova Scotia successfully lobbied for an increase in the allocation for the Nova Scotia Nominee Program (NSNP), one of Canada’s Provincial Nominee Programs (PNPs). The immigration programs were designed to enable Canadian provinces to select newcomers based on criteria set by the province. This was the second time in just a few months that Nova Scotia had its PNPs allocation increased. The government of Nova Scotia has stated that it expects to welcome another 2,150 new immigrants to the province through the NSNP this year, although it has not indicated how many refugees will arrive. In addition to the NSNP, a new program has also been set up to help Nova Scotia bring in more workers and graduates. The recently introduced Atlantic Immigration Pilot Program is a joint agreement between the Atlantic Provinces, with New Brunswick, Prince Edward Island, and Newfoundland joining with Nova Scotia in creating an exciting employer-driven immigration program. Through the Atlantic Immigration Pilot Program, the federal government aims to receive 2,000 new immigrants this year. 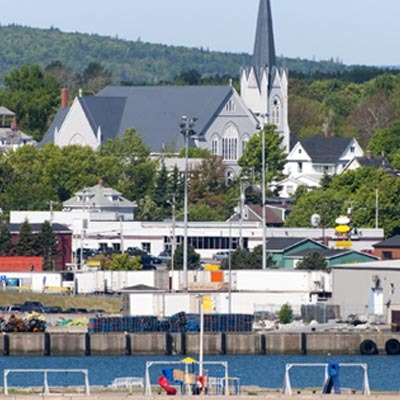 Furthermore, the province of Nova Scotia is also attracting a decent number of new immigrants who apply through the federal programs, including programs through the Express Entry selection system. A recent survey done by the government of Nova Scotia revealed the level of urgency needed to increase immigration numbers due to a continuously declining birth rate. The survey report also predicts that within the next 15 years there will be 100,000 fewer people of working age in Nova Scotia, and the province cannot count on its natural birth rate to replace the aging workforce. The report further states that the province of Nova Scotia needs to attract up to 7,000 new immigrants annually by 2024. To learn more about work opportunities in the Atlantic region, click here.